If you know what service you are after please feel free to schedule an appointment online. If you would rather get in touch first then please feel free, otherwise check out our services below the app. Using the results from our Retül motion analysis, in addition to the Leomo Type-R and our FMS, we will help you to develop a plan to achieve your goals before the next session. Our Time Trial and Tri bike fit will make you as efficient on the bike as possible. Using our Bioracer Aero virtual wind tunnel, we can help you find the most aerodynamic position on the bike that you can sustain for your given event. Using Retül motion analysis and our Leomo Type-R we will work to find the best possible balance of power and stability to aerodynamic drag. To help you maintain your position, we will begin with a detailed physical assessment off the bike. Using these results, we will recommend a series of exercises to help you achieve the required physical demands. Our standard single session bike fit will ensure that you can find a comfortable position on the bike. Using our Retül motion capture and Geobiomized mapping technology we will help you to find an efficient and powerful position on the bike. During the session, we will observe a basic physical analysis off the bike to screen for any physical limitations that might be hindering your comfort on the bike. We will also the align the foot and set up cleat position to better improve your stability on the bike. Using our Retül motion analysis and Geobiomized motion capture technology, we will set out to create the most powerful position you can hold for your given event. 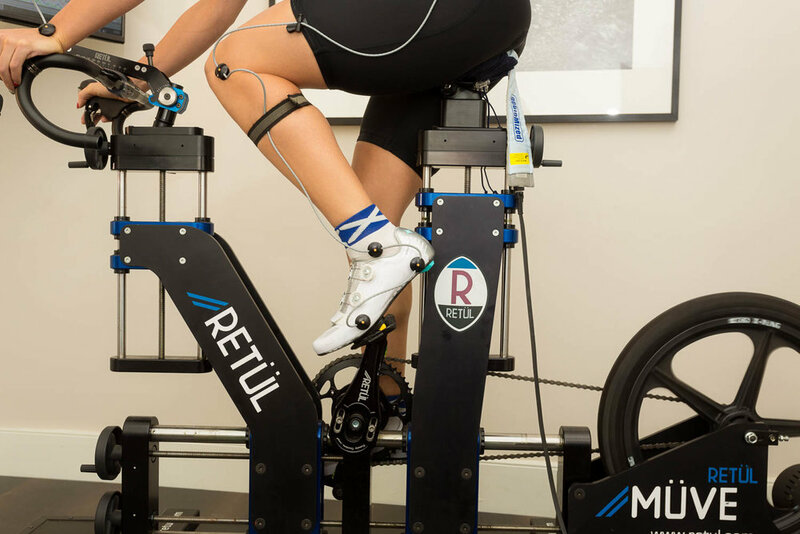 Working through a process of feedback loops and data analysis on the bike in addition to physical examinations off the bike, we will determine the best position for your upcoming goals. Edinburgh Bike Fitting offers the most technologically advanced mobile fit service available in Scotland, offering our full Pressure Mapping and Retül motion analysis service to clients on the road. We understand that its not easy for everyone to get to our studio so please don't be put off, we can come to you! If you are a cyclist who would rather not travel to Edinburgh then why not get us to travel to you. With a party of 3 then Edinburgh Bike Fitting can travel to you for the cost of £150 per client. If you can't get 2 others interested in a bike fit at the same time as you then please still get in touch. We have plenty experience in bike fitting all over Scotland, having traveled to Aberdeen, Dumfries and Galloway, Oban, Polmont, Thurso, Wick and even Shetland! Please note, we cannot offer normal group discount with bike fits at your location. Have our studio travel to you! If you have been fitted within the past year, and require any minor adjustments made to your position, then book in for a redial. Whether you’ve swapped out components, or think that your position may need to be altered because of an injury, get in touch, or book now.